That marked the start of a remarkable rise that included Osaka’s first Grand Slam title at the US Open. She followed that with an Australian Open crown that sent her to number one. “I didn’t play that well,” Osaka said. “Honestly, at a time like this with that scoreline, I would usually feel very depressed and sad. But I feel pretty good right now, because I tried my best and I don’t really have any regrets. Bencic — who beat four top-10 players on the way to the title in Dubai last month, her first trophy in four years — next faces fifth-seeded Czech Karolina Pliskova, who downed Anett Kontaveit 7-6 (10/8), 4-6, 6-2. The victory over Osaka came in “very high” in her list of big wins. “I mean, she’s the number one player in the world. She won everything in the past couple of months. “I played, I think, a great match. I’m really happy with myself. Osaka’s defeat capped a black day for top seeds in the combined WTA-ATP Masters event, with men’s world number one Novak Djokovic stunned by 39th-ranked Philipp Kohlschreiber. The women’s field lost its top two seeds as Romania’s Halep, the 2015 Indian Wells winner, fell to Czech teenager Marketa Vondrousova 6-2, 3-6, 6-2. 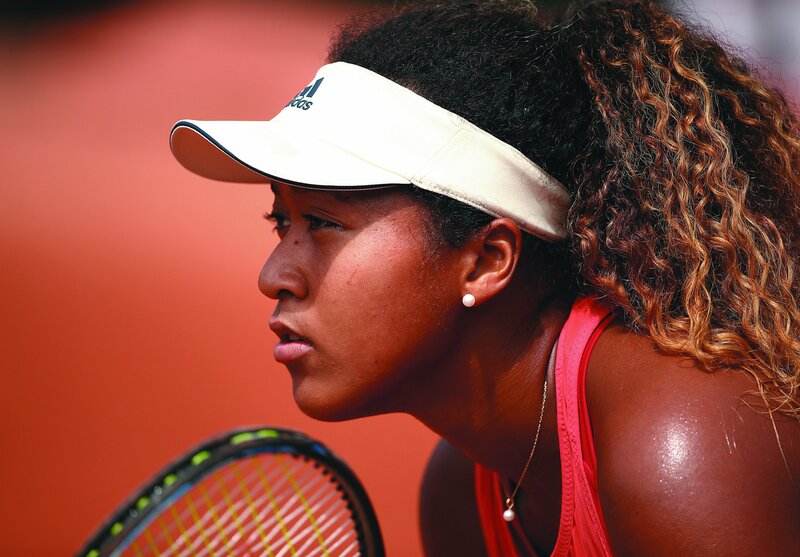 Her defeat means Osaka will retain her number one ranking, even though she couldn’t pull off her first title defense. Spain’s Muguruza, a two-time Grand Slam champion now ranked 20th in the world, out-lasted seventh-ranked Kiki Bertens 5-7, 6-1, 6-4 while Williams, a seven-time Grand Slam winner, beat Germany’s Mona Barthel 6-4, 6-4. Muguruza next faces 18-year-old Canadian Bianca Andreescu, who surprised China’s 18th-seeded Wang Qiang 7-5, 6-2. Andreescu — who roared to her first WTA final as a qualifier in Auckland in January, beating two former world number ones on the way — is in the quarter-finals of one of the WTA’s elite premier mandatory events for the first time.